There are two fun Loom-a-longs in the Ravelry Loom-a-long Group this month. The first, a repeat by request, is the Leafy Sea Dragon Scarf seen in the photo above. This is a one month loom-a-long, for April only, but of course you may join in any time, and work at your own pace. The second Loom-a-long will last through May, and the pattern is the Daisy Chain Sweater, a lace pullover sweater that has the look of crochet. I've rewritten and updated the pattern to provide more sizing information, as well as a new option for making the sleeves. 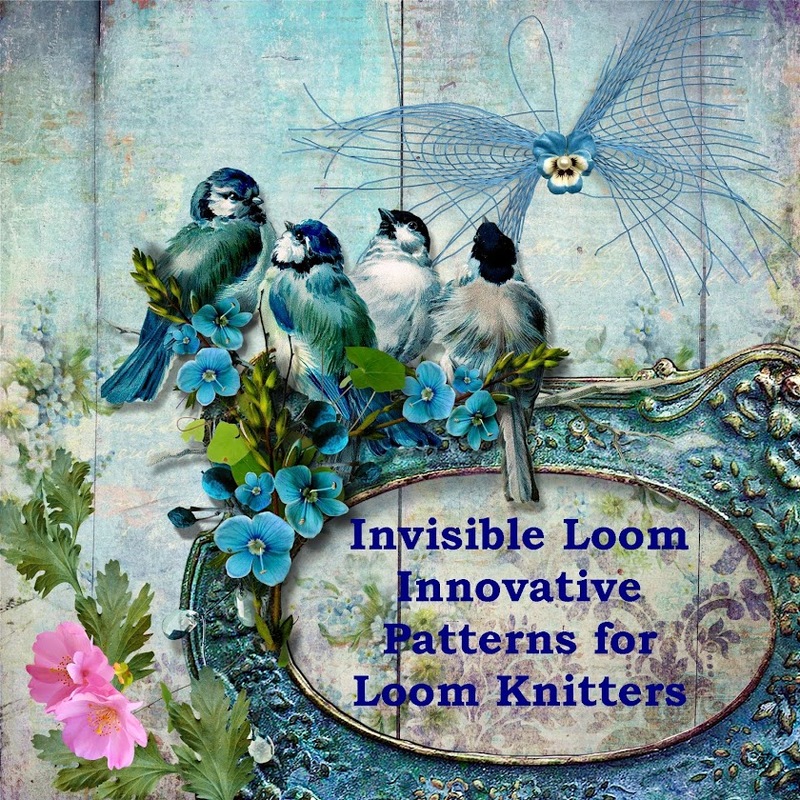 More information about the patterns is available on the linked pattern pages, as well as in the Loom-a-long Group. I hope you will be able to join in one or both of the loom-a-longs. Drum Roll - Time for the Drawing! It's time to draw the prize winners for the drawing. The official "What Would Jane Knit" bag has been filled with the names of everyone who purchased a book during March (one entry for every book.) Good luck everyone! Jennifer Wales! Woo hoo Jennifer! Melitza Calderon. Way to go Melitza! Everyone else. Watch for an email from me with your prize notification. Winners of the first six prizes will need to send me your shipping address. You may send it as a comment from this blog, (which will never be seen publicly), email me, or contact me through Ravelry. Thanks everyone for celebrating the new book with me.